If you are thinking about hiring pest control services, you may also have some questions about the process. As highly experienced pest control professionals, we are going to answer the most common questions about pest control Brisbane residents ask. First, let’s start with a few basics. Pest control is the management of particular animals classified as pests whose presence around human beings negatively impacts their activities. Methods used in controlling pests include repelling them and complete eradication. Do you use dangerous chemicals? 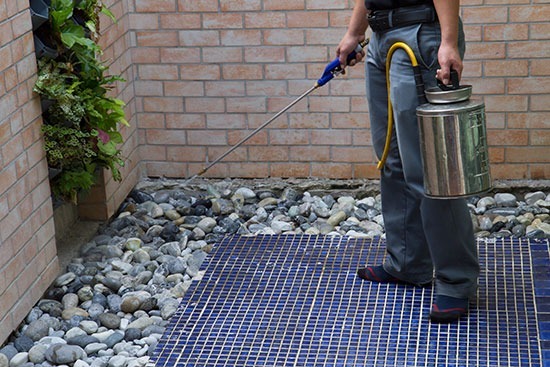 Many pest treatments require the use of some chemicals. However, pesticide manufacturers and pest control technicians take significant measures to use environmentally friendly products wherever possible, and those that are least harmful to people and their pets. At Sun Dry, we are particularly careful and use elimination methods that pose the least potential risks, and we also employ stringent safety procedures to ensure your family and pets are safe. It is worth noting that for some procedures, there is a general precaution pregnant women and children under the age of one should stay away from the home for at least 24 hours after it is treated. You should speak to your pest control Brisbane expert for more information on what safety precautions will need to be taken in your situation. Why do pests keep coming back even after I sprayed them? You may have decided to treat pests such as ants or cockroaches yourself at home. When you spray the pests, you are only dealing with the ones you can see. You may be overlooking an entire host of pests lurking in a nearby colony and waiting to invade your home. One of the benefits of hiring a pest control Brisbane technician is that they will not only eliminate the visible pests but they will also find the source of the infestation, and their nests, and treat them as well. Will I only need one treatment to completely eliminate the pests? The is no standard answer here – sometimes it is a yes, other times it is a no. It all depends on the type of pests, the level of infestation, and if the conditions are favourable for them to thrive. Some pests will be gone after one treatment while others may require several treatments to completely eradicate them. The most important aspect for us is ensuring we provide long-term solutions that will support total eradication. We will provide recommendations on what can be done to keep the pests away. Do I need to leave my home while it is being treated? It depends on the treatment being used, however, most pest control experts recommend that you leave your home for at least 3 hours following treatment. Your pest control Brisbane technician will let you know if you need to leave your home and for how long. At Sun Dry we are highly experienced in treating all sorts of pests. Our professional pest control Brisbane technicians will be glad to answer any of your questions. Contact us today for more information on pest control or for a free quote.